Not the only decoration I've seen but this is pretty typical of the extent of the decorations I've seen around South Africa. 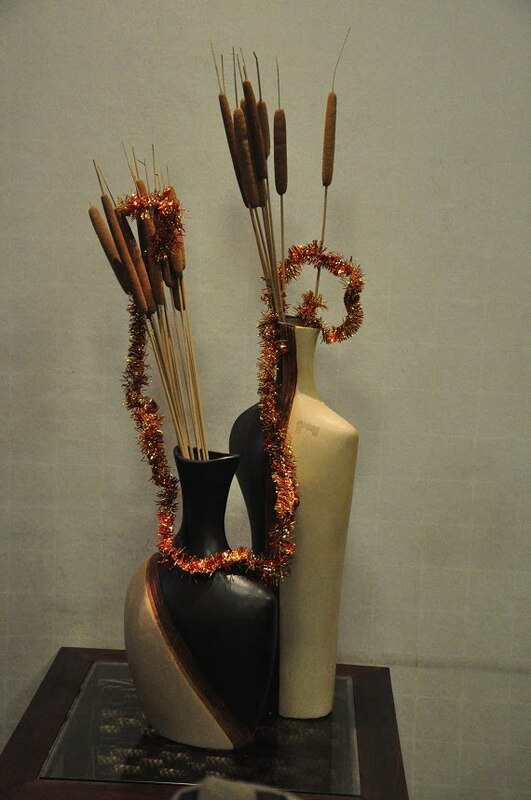 "Why don't we throw a piece of tinsel over this vase of bullrushes?" This was in the train lounge in Cape Town.